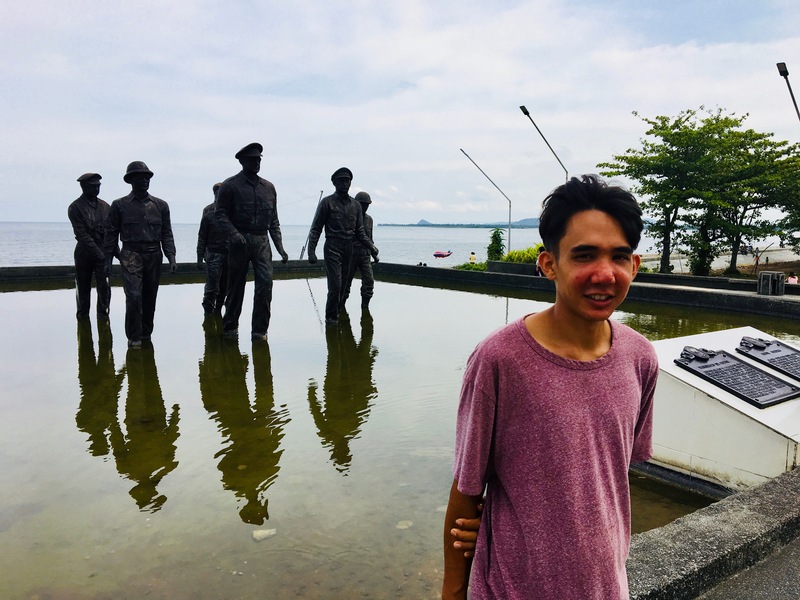 In 2018, Camillo Geaga joined the NEXTGEN Travel Fellowship program and he visited the Philippines for the second time. 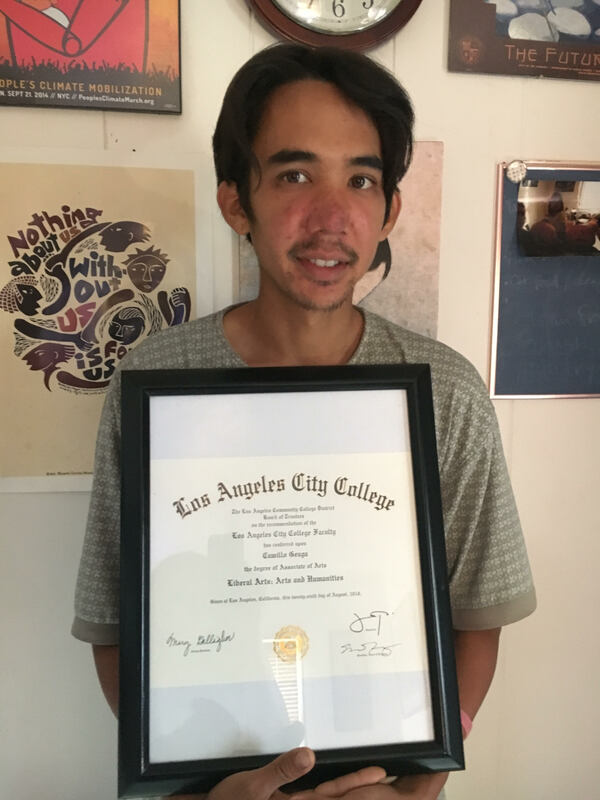 During his recent trip, Camillo was inspired to complete his Associate Degree at the Los Angeles City College. He was inspired more ways than one. In 2019, Camillo plans to continue his education at the California State University Northridge and achieve his bachelors degree in Public Health. 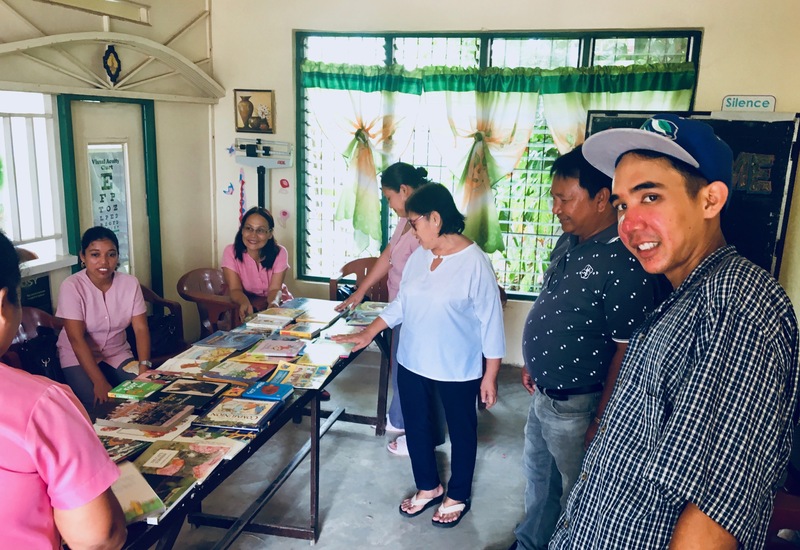 During his trip to the Philippines in 2018, Camillo joined the Bayanihan Foundation in donating thousands of books to elementary schools in Giporlos, Samar. Camillo also visited Pintuyan, Leyte hoping to see whale sharks but unfortunately it was not the migratory season for whales at that time. Camillo Geaga also visited Iligan City and visited my aunt and uncle, Dr. Vicente and Mrs. Luz Saavedra. 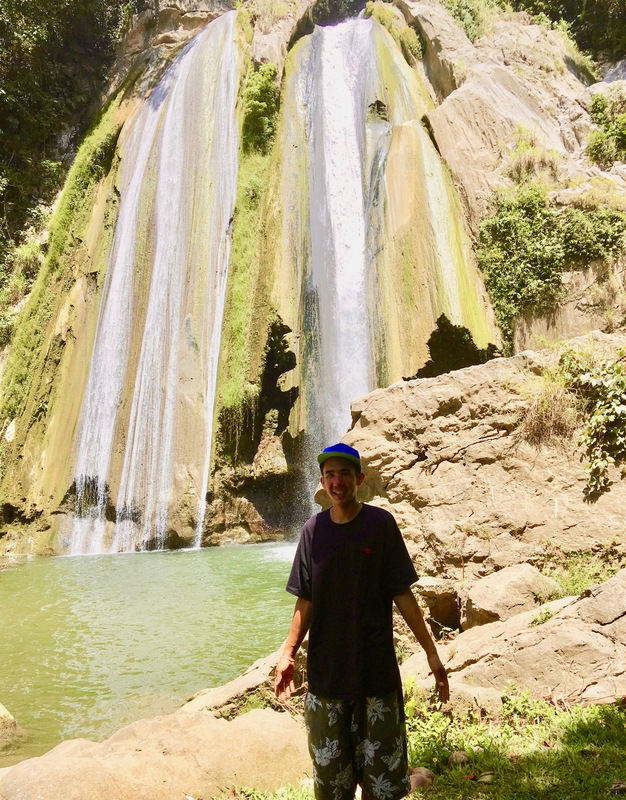 He got a chance to see the city of waterfalls and swam at the Kabacsanan Falls, one of the many majestic waterfalls in Iligan. Camillo Geaga is not the only one inspired by his trip to the Philippines. Vicky Geaga, Camillo’s mother was also motivated to encourage her friends and family to donate to Bayanihan Foundation Worldwide. “I’ve chosen this nonprofit because their mission means a lot to me, and I hope you’ll consider contributing as a way to celebrate with me. Every little bit will help me reach my goal,” Vicky Geaga said on a recent Facebook post. Giving Tuesday is on November 27, 2018. Consider supporting Bayanihan Foundation Worldwide. 95% of your donations go directly to programs like NEXTGEN and other philanthropic projects locally and globally including environmental issues, quality of life, health care, literacy all in a spirit of giving back to the community. 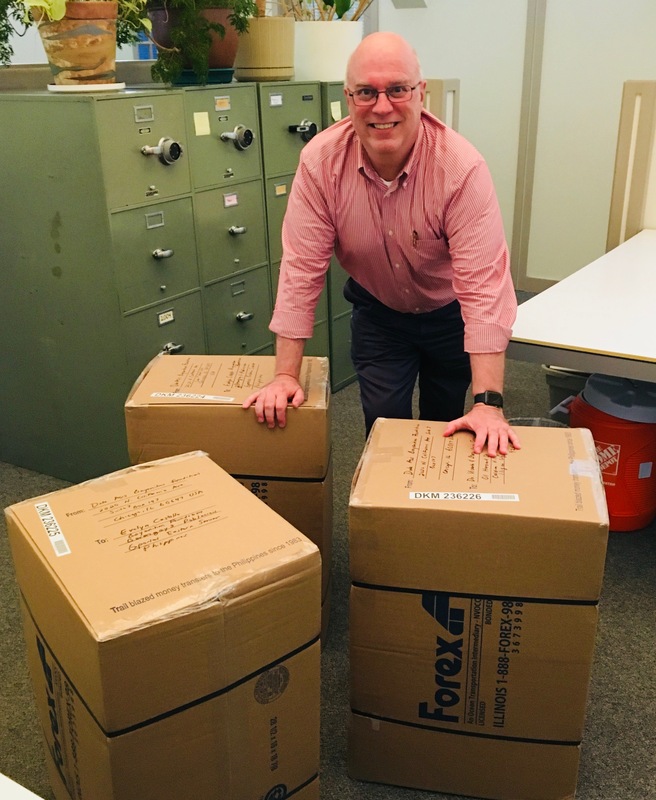 On September 2018, Will Dix and I packed thousands of used books bound for in Giporlos, Samar, and Iligan City, Lanao del Norte. Today balikbayan boxes, named after the Tagalog word for a returning Filipino, have become one of the most enduring symbols of the Filipino diaspora. The boxes help feed relatives who are struggling, console daughters separated from their mothers, and give far-flung overseas workers a tangible tether to their families. My mother and my cousins always send these balikbayan boxes back home. As Will and I were sending these balikbayan boxes full of books to set up libraries in the islands, how many of these balikbayan boxes do Filipinos send back to the Philippines every year? What are inside most of these boxes? And why do they keep sending these boxes full of stuff back to the Philippines? How many balikbayan boxes are sent to the Philippines year? With over 10 million Filipinos working abroad in the US and around the world, at least 400,000 balikbayan boxes are sent every month, according to the Door to Door Consolidated Assn. of the Philippines. That’s approximately 4.8 million balikbayan boxes every year becoming a billion dollar industry. The number of boxes being sent drastically increases during the holiday season. What’s inside a typical balikbayan box? Chocolate: Chocolates, and many other kinds of sweets, are one of the most common balikbayan box items. Common brands like Snickers and M&M’s are highly desirable, and more expensive candy brands like Ferrero Rocher are comparatively affordable in the U.S., and they can be purchased cheaply, in bulk, at American stores like Costco. 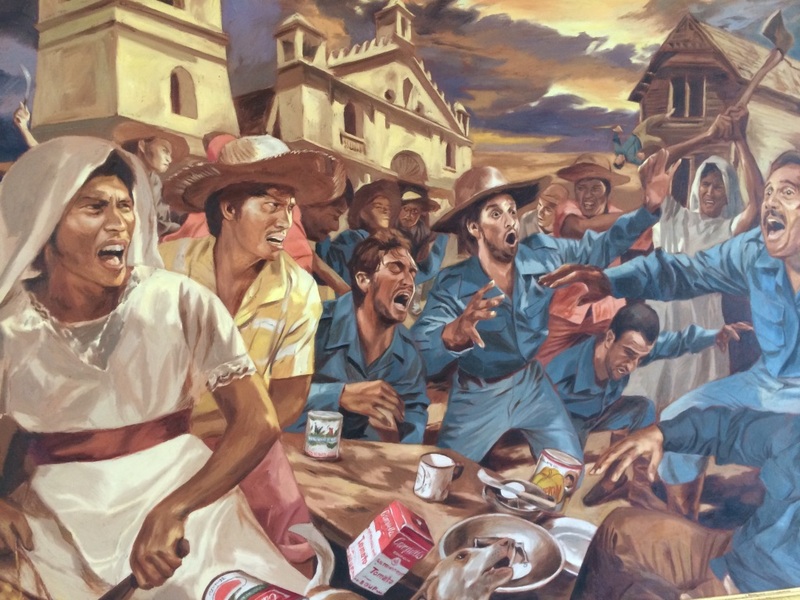 Colgate, Crest and Secret deodorant: American brands like Colgate and Crest seem like mundane inclusions, but they are especially desirable in the Philippines, where a history of U.S. colonization has shaped consumer tastes. Clothes: Many balikbayan boxes contain new or used clothing for relatives in the Philippines, often contributed by relatives in the U.S. And U.S. shoe brands like Nike and Adidas win fashion points with young people, because certain models released in the U.S. aren’t available in the Philippines. Purses, perfumes and makeup: Boxes also contain more traditional gifts from overseas Filipinos who want to share their relative wealth with their less fortunate family members back home. The peak of the balikbayan box season is always Christmas. 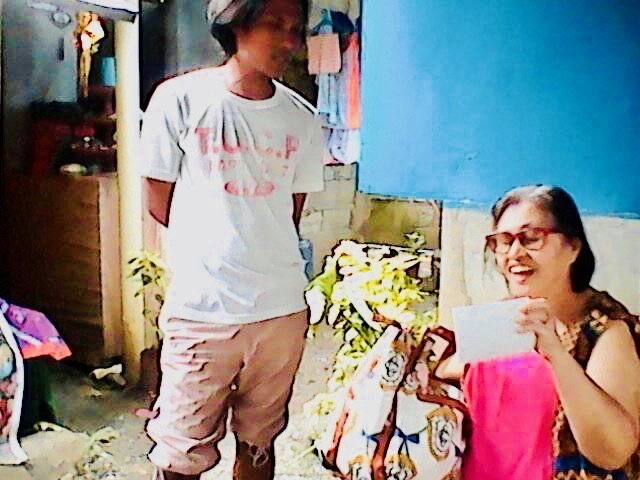 Backpack, towels and sheets: A balikbayan box is typically preceded by weeks of communication between overseas Filipinos and their relatives in the Philippines to try to learn about the needs and wants of each of their family members. Guzman has included a backpack, towels and a comforter according to her family’s needs. The boxes: Large door-to-door balikbayan box companies like Atlas, Forex, LBC, and Starkargo have professionalized the practice of sending balikbayan boxes via shipping container or airmail. Shipping a box costs anywhere from $40 to $80, and it’s often cheaper to send boxes to the Philippines through these services than it is to send it across the street using U.S. carriers. The contents of Amy Guzman’s two balikbayan boxes at her home in Long Beach, CA. Why send these balikbayan boxes in the first place? “This is the Filipino way. You can’t go home without a box,” Marie Maruquin of Los Angeles replied. The 1970s brought high unemployment to the Philippines and a state-sponsored effort to export labor around the world. 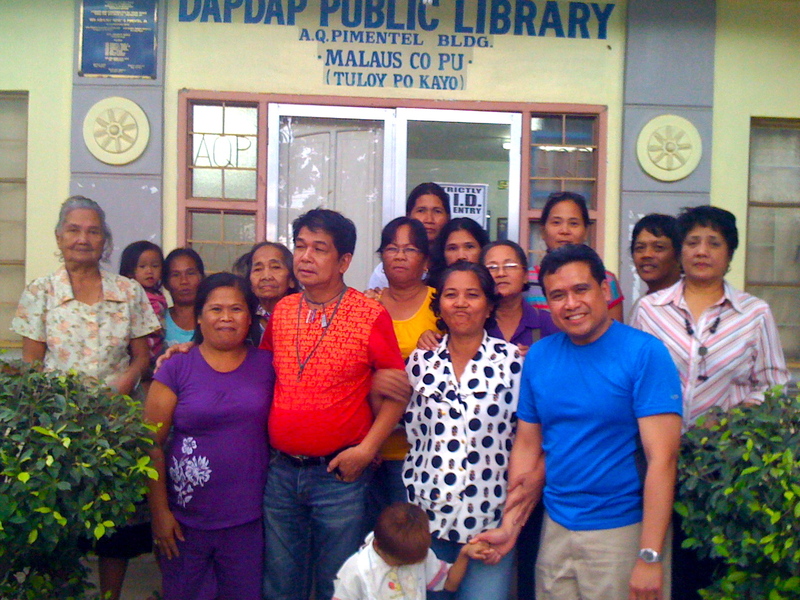 Thousands of Filipinos like De La Cruz accepted vast distances from their families as a requirement for survival. 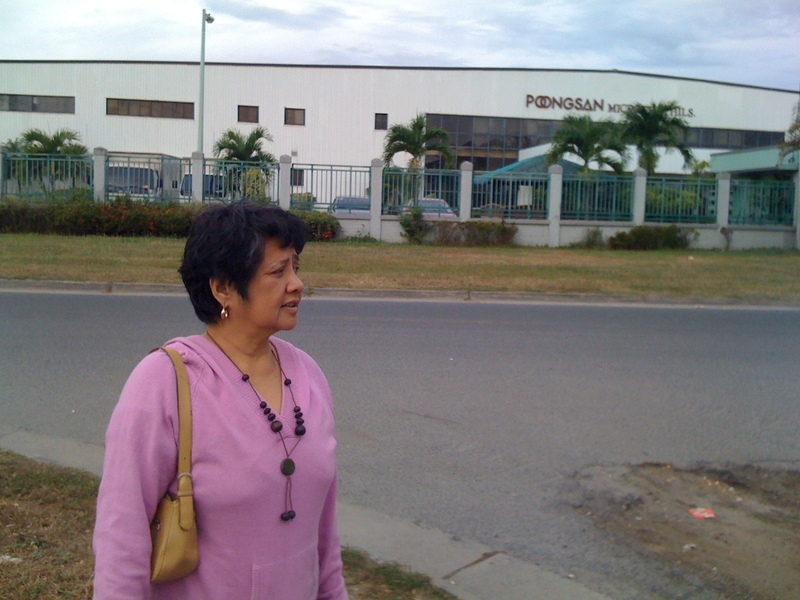 For many overseas Filipinos, balikbayan boxes became the best way to bridge that distance. De La Cruz, who worked as a domestic helper in Hong Kong, scrimped and saved to put dresses, chocolates and toys in her children’s care packages. The practice was formalized by an official government initiative to encourage returning Filipinos, or balikbayans, to spend their foreign wages at home in the Philippines. Tourism officials offered reduced airfares on the then-government-owned Philippines Airlines, hotel discounts, tax breaks and, most important, generous baggage allowances. Returning foreign workers, who earned far more than their relatives could back home, needed to bring so many gifts that they soon quit using luggage in favor of large cardboard boxes, which could be packed to the very limit of an airline’s weight allowance. The balikbayan promotion was supposed to last only six months, but the profitable initiative was extended repeatedly until it became permanent. In 1987, the government officially waived taxes and duties on goods in balikbayan boxes. Around that time, in Los Angeles and other Filipino enclaves in the U.S., entrepreneurs like Rico Nunga, 60, began to offer door-to-door delivery of balikbayan boxes to the Philippines for between $40 to $80 — cheaper than it would cost to send a box across the street. Nunga, who founded one of the first door-to-door companies in 1985, said the box sizes were set large to maximize the space inside standard shipping containers. The contents of a balikbayan box are shaped by history, colonialism and Filipino ideas about family. But much of it can actually be found at Costco. American-made or American-sold products are highly coveted. Vending machine standbys such as M&M’s, Snickers, Twix and Reese’s convey status upon relatives in the Philippines because they’re American products, which are seen as higher-quality, special-occasion foods. Colgate toothpaste, Spam and corned beef are big. Decades of U.S colonization and influence made many Filipinos avid consumers of American culture and products, Professor Ocampo said. Generations grow up under a public education system established by an American government that uses English as the official language of instruction. And American products bound for Asian markets flowed through the Philippines and found customers in Filipinos, Ocampo said. But boxes are more than just vessels for pasalubong, the Tagalog term for souvenirs for relatives. “The boxes show our feelings,” Jennifer Virgines of Thousand Oaks, CA said. Excerpts from this blog entry came from the “HSBC Fragile Planet: Scoring Planet Risks Around the World” Report (April 2018). All countries are being impacted by climate change but some are facing much more acute challenges than others. The “HSBC Fragile Planet: Scoring Planet Risks Around the World” Report cited the Philippines as the third highest ranking country vulnerable to climate change. India, followed by Pakistan ranked as the top two most vulnerable countries to climate change in the world. Countries from the Middle East, Latin America and Africa are also in this group. The report looked into which countries are most vulnerable to climate change – in terms of both the physical impacts and the associated energy transition risks – and which are better placed to respond to these pressures. It seems that the Philippines is not completely ready (Philstar Global, March 2018). Climate change manifests through rising temperatures, can alter hydrological (water) cycles and exacerbates extreme weather events. In turn this means higher risks to energy, food and water systems, populations and the global economy. Over 2030 to 2050, the World Health Organisation (WHO) expects 250,000 additional deaths per year due to climate change. On the day that the UN Intergovernmental Panel on Climate Change (IPCC) warned that we only have 12 years left to prevent climate catastrophe, an American climate economist cited heavily in the IPCC’s report has been named one of the two winners of this year’s Nobel Memorial Prize for Economic Sciences (World Economic Forum, October 2018). Many critics agree that climate change is happening and will affect cities and countries around the world including the Philippines. It is located in the western Pacific Ocean, surrounded by naturally warm waters that will likely get even warmer as average sea-surface temperatures continue to rise. The Philippines also lacks natural barriers; as a collection of over 7,000 islands there is almost nothing standing between them and the sea. In addition to their coral reefs, one of the best buffers against typhoons are the Philippine mangrove ecosystems. These mangroves help mitigate the impact of storm surge and stabilize soil but have disappeared by almost half since 1918 due to deforestation (an issue for another day). 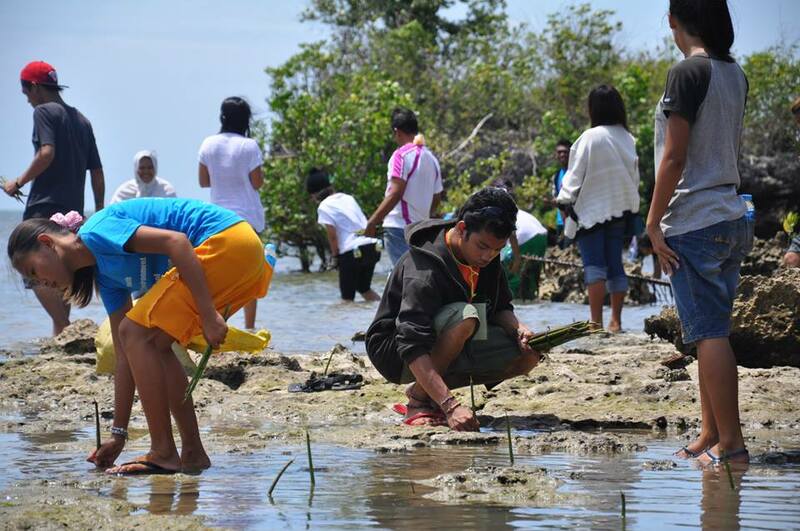 Since 2010, the Bayanihan Foundation has been planting over 30,000 mangrove seedlings in Liloan, Cebu to combat deforestation and climate change. Developmental factors have made it difficult for the Philippines to prepare and respond to disasters. Evacuation plans, early warning systems, and shelters are critical to dealing with extreme weather events. Warning and relocating thousands or millions of citizens when a storm is approaching would be a massive hurdle for any country – and in the case of a developing nation like the Philippines with nearly 100 million citizens spread out across thousands of islands, the hurdle becomes bigger still.Then there’s what these storms mean for the Philippines’ economy. 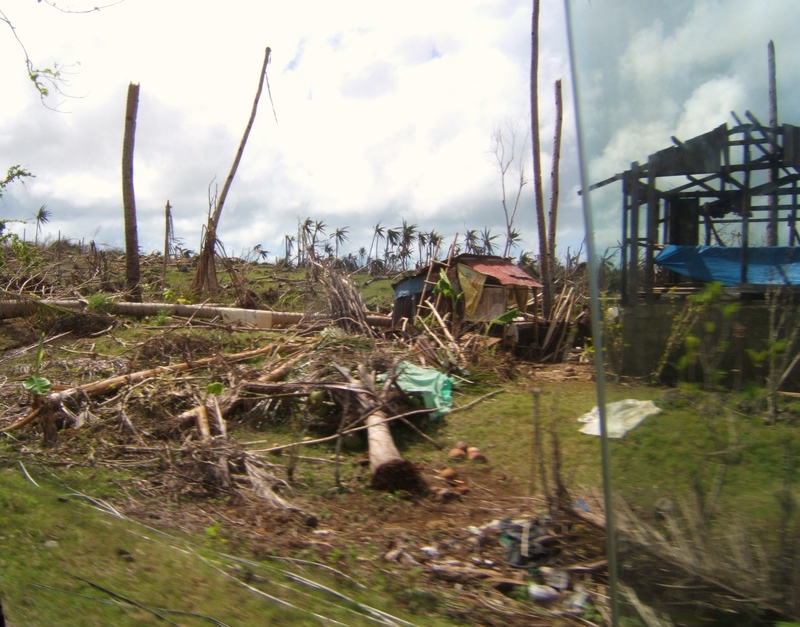 According to a 2013 statement from government officials, a destructive typhoon season costs the nation two percent of its gross domestic product (GDP). It costs another two percent to rebuild the infrastructure lost, putting the Philippines at least four percent in the hole each year from tropical storms. And when you’re a nation aspiring to grow and create better lives for your citizens, this regular hit to the economy is the last thing you can afford. 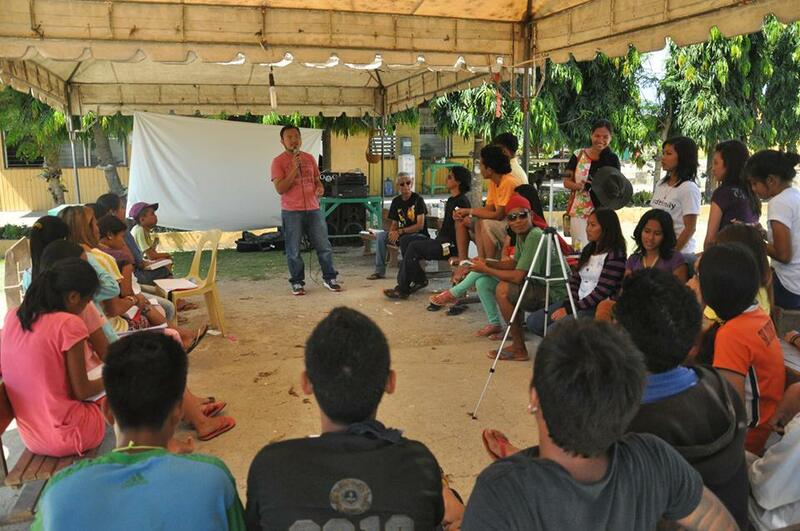 Since 2010, Bayanihan Foundation led by board member James Castillo has been conducting youth leadership and education workshops on environmental sustainability and climate change. In the Philippines, where half the mangrove forests have been lost to development, biologists are replanting the trees to recreate nature’s protective coastal shield against deadly typhoons. The gnarled tangle of mangrove roots slows the movement of tidal waters, reducing the impact of storm surges and waves (National Geographic Magazine, October 2018). 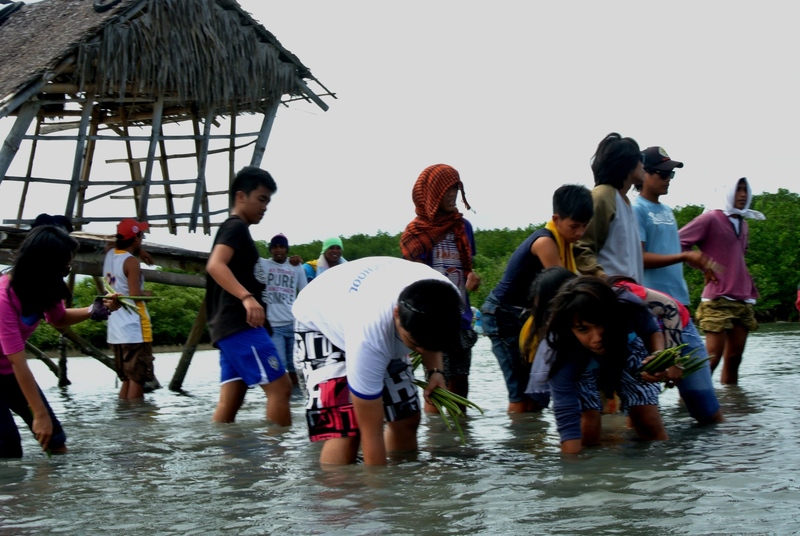 The Bayanihan Foundation took small but important steps to plant over 30,000 mangroves in Liloan, Cebu that are doing its part in fighting climate change. 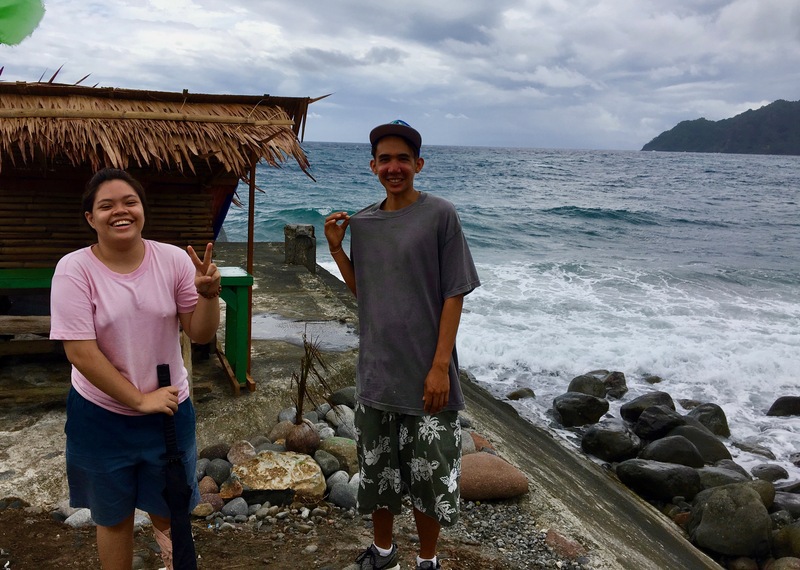 Support the Bayanihan Foundation and its efforts to combat climate change on the ground by donating to the foundation and clicking this LINK. On November 24, 1992, the US lowered the American flag on Clark and Subic bases in the Philippines, the US largest military installations outside the continental US. 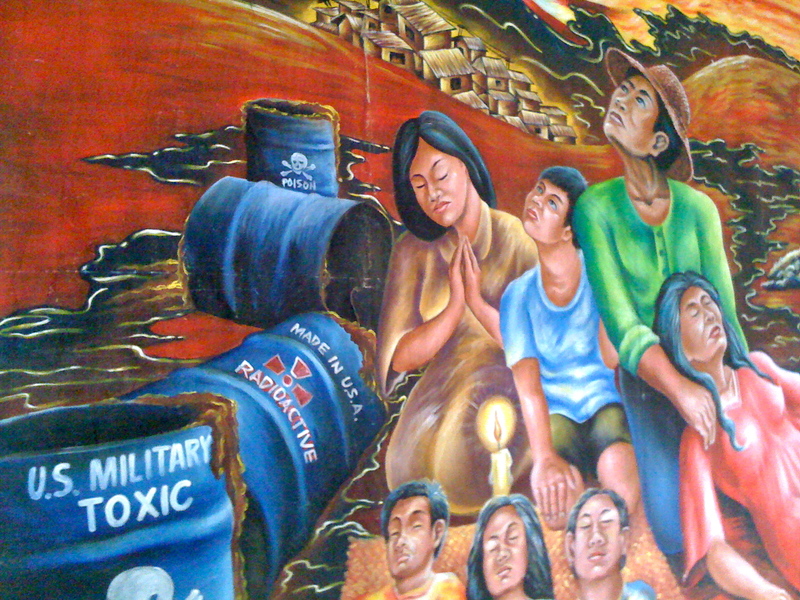 26 years later, the US still has unfinished business of cleaning up the toxic contamination left behind in the US former bases in the Philippines. On November 4, 2018, the Bayanihan Foundation will co-sponsor a free film showing of John Gianvito’s “Vapor Trail Clark“, a four-hour and 25 minute long documentary of researchers investigating the U.S. military’s environmental contamination of the abandoned bases in the Philippines. The film screening will be held at the Pilipino Workers Center, 153 Glendale Blvd, Los Angeles, CA 90026. The free film screening will be held from 12 PM till 5 PM, with a half hour merienda break in-between. Filipino snacks and refreshments will be served. Guest speaker, Myrla Baldonado, will talk about her two decades as the founding Director of the People’s Task Force for Bases Clean-up. Her personal story in fighting to clean up the toxic wastes left behind also became the main highlight of the documentary, “Vapor Trail Clark.” Myrla relentlessly advocated for the victims of toxic contamination and for the environmental clean up of both Clark and Subic bases. Ms. Baldonado lobbied for research studies that confirmed serious environmental and health problems in these areas. In addition, the People’s Task Force for Bases Clean-up also provided medical help to over a thousand victims of contamination. 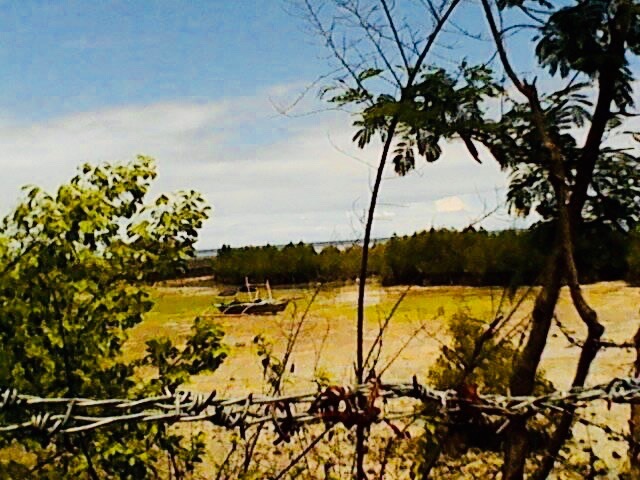 “Being able to continue working on this unfinished task for the Philippine environment and the health of the Filipino people affected by the toxic contamination is one of the many rewards of continuing this fight,” Myrla Baldonado said. 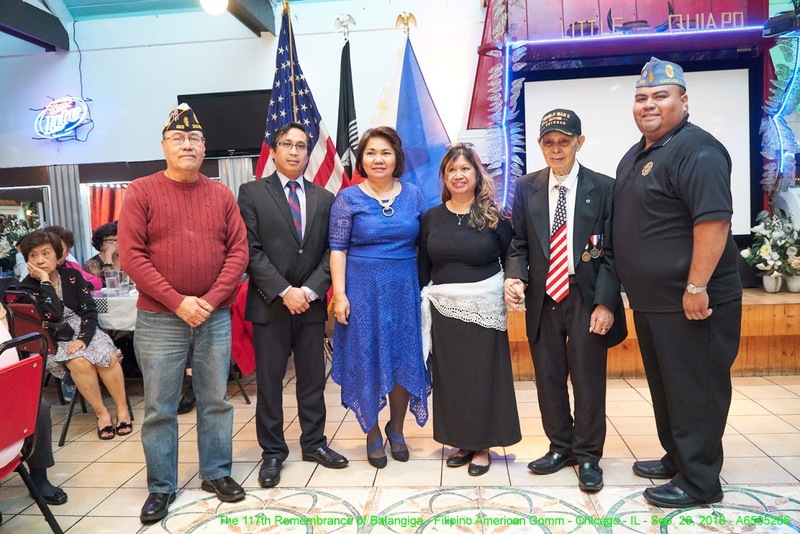 On October 2, 2018, the Filipino American community in Chicago called for the return of the church bells of Balangiga, Samar, an important symbol of the Philippine-American War. The US Secretary of Defense James Mattis recently notified Congress that the US government is expecting to return the Bells of Balangiga to the Philippines, where they would be treated with the “respect and honor they deserve” by the Catholic Church there, according to a statement from the U.S. Embassy in Manila cited in published reports (Casper Tribune, August 16, 2018). Since 1905, the US military has kept the bells of Balangiga as war booty and it’s often seen as a divisive symbol of the Philippine-American War. Filipino Americans should contact their Congressional Representatives and urge their elected officials to hasten the return of the bells back to Samar where it belongs. Rose San Diego, Liaison of the Filipino American Veterans of Illinois and representatives of the Chicago Nightingales, a group of Filipino American nurses advocating for health and wellness in the community, joined forces with other Filipino American leaders in Chicago to rally for the return of the Balangiga bells. 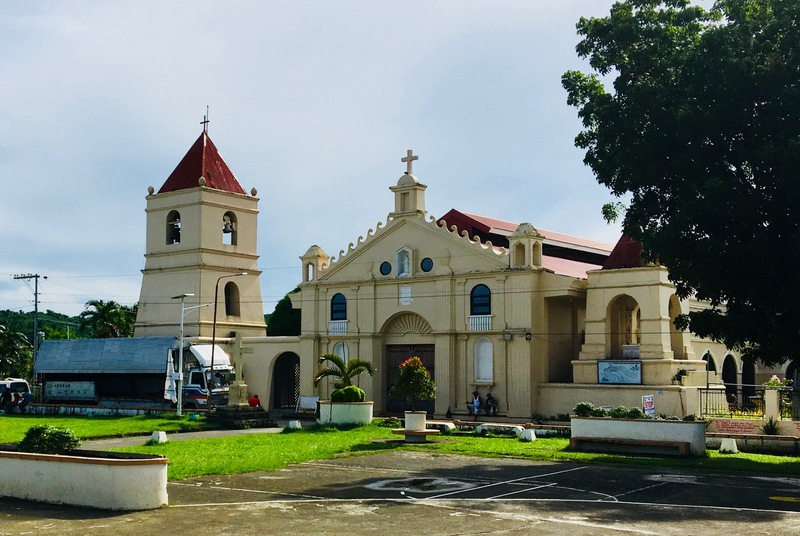 In 1901, the bells were taken from a burnt-down church in Balangiga, Samar as trophies of war dating back to the U.S. military’s occupation of the Philippines in the early 20th century. Two of the three bells now reside at F.E. Warren Air Force Base in Cheyenne, Wyoming where they have been kept since the return of Wyoming’s 11th Infantry from the conflict. It’s about time the US return the bells to Samar. The US should not keep them as war booty. The bells serve as spoils of the Balangiga Massacre, a mission of retaliation by the U.S. military following a morning assault on American fighters by machete-wielding Filipino militants, killing 48 of the 78 Americans in the unit. The bells were taken by the Americans following a directive by General Jacob H. Smith to shoot all Filipino men over the age of 10 and able to bear arms: an illegal act of revenge against the civilians of the small town of Samar. Both Smith and Major Littleton Waller were court-martialed for the massacre, however, only Smith was found guilty. The conviction was later dropped. 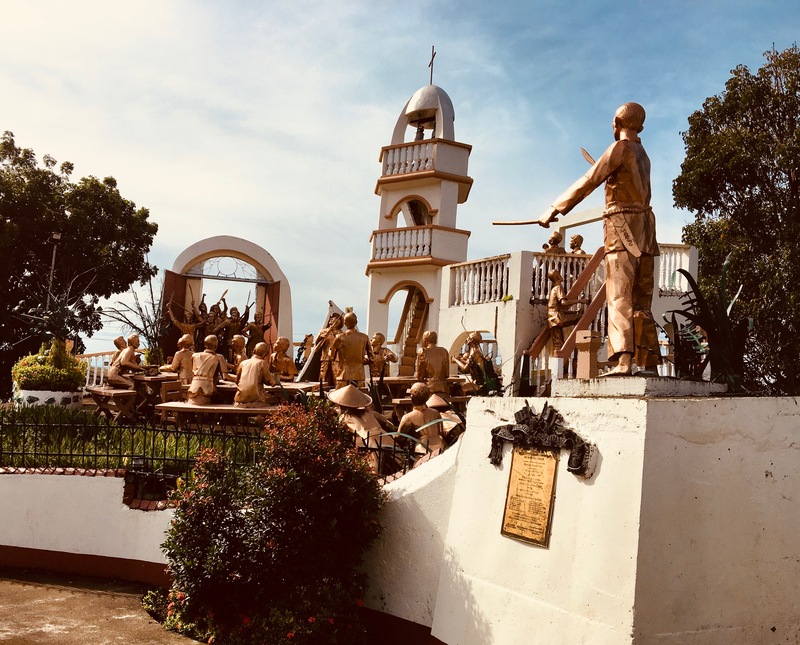 In May and September 2018, I visited the Balangiga Church and the statue in front of the church plaza depicting the massacre. I was surprised myself to learn about this forgotten part of history (Ignacio, The Forbidden Book, 2004). I always thought the US was helpful and benevolent towards its former colony, the Philippines. At the end of the US Philippine War, soldiers of the 11th Infantry brought two church bells from Balangiga back to the base where they were stationed at the time—Fort D.A. Russell outside Cheyenne, now F.E. Warren Air Force Base. A third bell from the Balangiga church, owned by the 9th Infantry, remains at the U.S. Army’s Camp Red Cloud, Uijeongbu, South Korea. These bells are finally coming home and it’s the right thing to do. The return of the bells has long been a concern of officials in the Philippines: most recently, President Rodrigo Duterte asked the U.S. to return the bells during his second State of the Nation Address last year, noting their symbolism as a sign of resistance against American colonialism in the 19th and 20th centuries. “Those bells are reminders of the gallantry and heroism of our forebears who resisted the American colonizers and sacrificed their lives in the process,” a translation of Philippine Duterte speech reads. “We are aware that the Bells of Balangiga have deep significance for a number of people, both in the United States and in the Philippines,” US Secretary of Defense Mattis said in a statement. No specific date has been identified for the return of the bells, one of which currently resides at an air force base in South Korea. The fight for the return of the bells is not over. I also spoke briefly during the program ceremonies and advocated for the Filipino American community to contact their US Congressional Representatives and urge them to advocate for the return of the Bells of Balangiga. 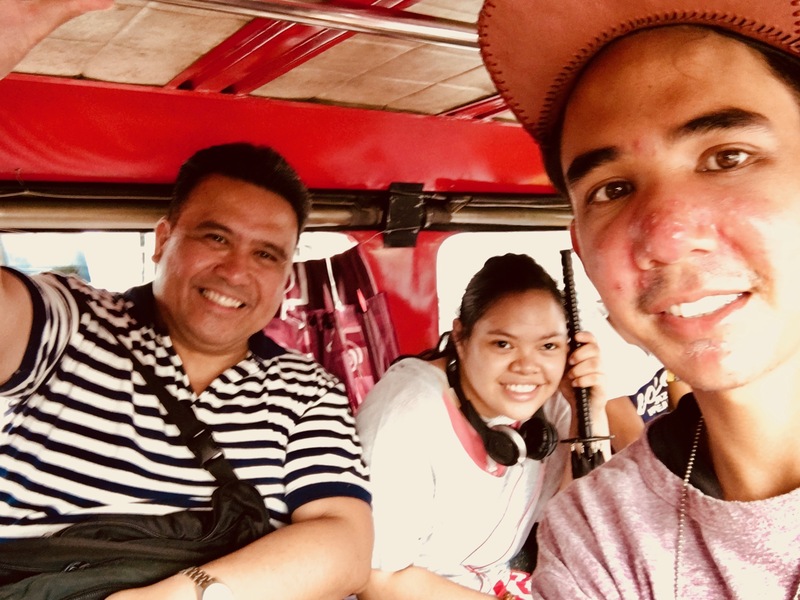 In August 2017, as a recipient of the 2nd annual NEXTGEN Pagbabalik ‘coming home’ program, I was guided through a 10-day trip of the Philippines, visiting mainly three islands. Ultimately, my favorite part of the trip was the deliciously rich tropical fruits such as the sweet mango (that looked like canned peaches) and the ‘lakatan’ banana (local banana variety that tastes like mango). I sat on a balcony, to catch up on readings that Dale had given me describing Filipino cultural and social values such as ‘hiya’ [shame], ‘amor-propio’ [love of one’s self], ‘utang na loob’ [indebtedness], and ‘pakikisama’ [togetherness], I thought “am I crazy?”, I had not even considered this opportunity less than a year before, and there I was. Then I heard a young male (maybe a teen) singing “I’m not crazy, I’m just a little …” the rest I didn’t know, with a young woman tearing in with “Livin la vida loca.” I think that it was my favorite part because it showed an emotional longing and more common side of people, for affirmation and acceptance, that reflected what I had learned about at historical site such as the Rizal birthplace and Mabini shrine, describing the plight of Philippine leaders during their revolutionary fight for freedom, that occurred over a century ago. I’m not quite sure of the origins of karaoke if it’s Filipino or American, as music is universal, and why I feel I can relate to it so well. Although I rarely sing, I play a lot of music, usually loud, that could be bothersome, especially to someone trying to sleep. I also feel that music can be like medicine with a nice vibration and a positive message that one can learn from. It’s like carrying the spirits of those before us, although it’s easy to get carried away. And not everybody likes the same music. On the trip, I thought a lot of the difference between Filipino and American cultures, as American culture tend to be more individualistic and less community oriented (or ‘bayanihan’ spirit) than the Filipino culture. Regardless, one must stand for something, and that it can be difficult to navigate in our capitalistic culture that has mostly stripped us of our traditional ancestral heritage and customs. In 2017, on my flight back to the States I had a difficulty breathing. I was wheezing on the plane and I was not able to sleep. Was I suffering from poor nutrition and eating mostly processed foods and sugar, leading to possible allergic reactions? Or was it the antibiotics that I have taken off and on for the last four years to fight a skin infection? Or maybe it was the medication that I had taken, for almost the same amount of time, to fight a mental illness? Or it could have been from my habit of smoking herbs that could also be filled with pesticides? Whatever it was, as I sat on the plane thinking of what could be the cause of my discomfort. I felt a pain in my liver that almost made me faint. I recognized that I was one sick puppy. I felt a seriousness of it all. I had to take my health into my own hands and I couldn’t rely on anybody else to do it for me. One factor, that’s crucial, is diet and nutrition. I believe that food can and should be medicinal for us: specifically, foods high in vitamins and minerals, such as fruits and vegetables, that allow us to function optimally. However, my favorite meal on the trip was ‘lugaw’, a traditional mainly white rice porridge with chicken, ginger, garlic, and a pinch of green onion. I have later come to realize that it was not only the warm memory of times when my mother would make ‘lugaw’ when I was sick, or the warmth of the soup itself, but that there may be truly healing properties to the stimulating qualities of plants such as ginger and garlic. 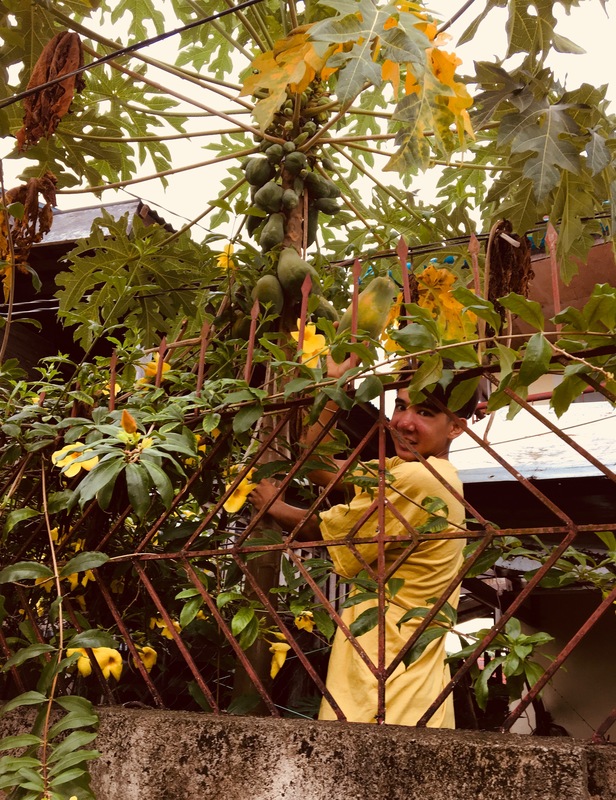 When I got home, I had a pasalubong (gift) to myself – the desire to change for the better health wise – primarily focusing on diet and nutrition. I don’t want to solely blame certain foods as bad, however I would like to encourage others to consume more nutritious foods. As Filipinos, we have a tremendously rich variety of traditional foods, some that could boast as champions of nutrition: some vegetables like malunggay (moringa), ampalaya (bitter melon), kalabasa (squash), eggplant, ube (taro), etc. as well as tropical fruits like mango, calamansi, banana, pineapple, rambutan, coconut and much more including mung beans, vinegar, and countless varieties of fish. So, in taking better care of ourselves we can honor this life and what we have been given and prepare for a better future. This, I believe, is the active component of our long-held traditional belief in ‘bahala na’, or ‘come what may.’ I realized that life is a valuable struggle and that we are inheriting an honorable fight of the spirit that has carried on for centuries, even through positive lifestyle choices such as food. I also want to recognize the plight of fellow brothers and sisters in the Philippines. 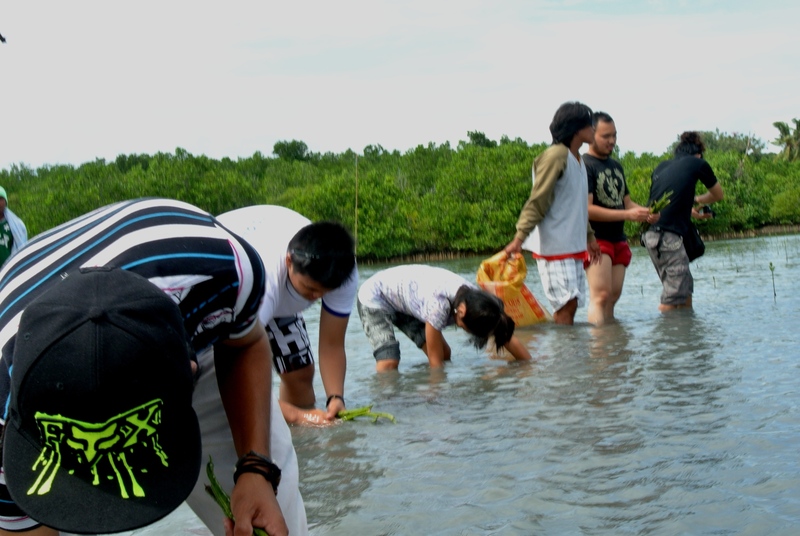 We visited historical sites in the Philippines and planted mangrove seedlings in hopes of keeping another village from getting washed away and prevent the effects of climate change. At the close of our trip, we flew back to Manila and stayed in Ermita. We visited Intramuros, the old walled city, where Filipino hero Jose Rizal was imprisoned and executed; Quiapo Church and its open-air market; and Makati, where we saw a precolonial gold exhibit at the Ayala Museum. I was surprised to find out that gold was found on many islands and was worn mainly by the local leaders at the time. 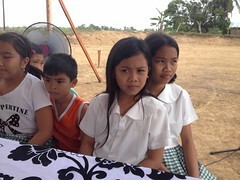 Overall, the trip was a valuable and enriching experience, one that I had hoped for, thanks to the Bayanihan Foundation.